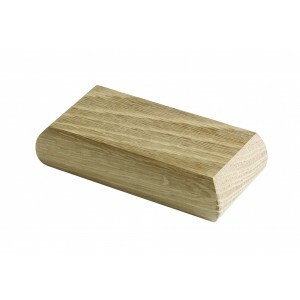 Flat, square newel caps are designed to provide an effective way to finish square newel posts. A newel cap adds the finishing touches to any stairs. These oak newel caps provide a simple finish for Elements newel posts. 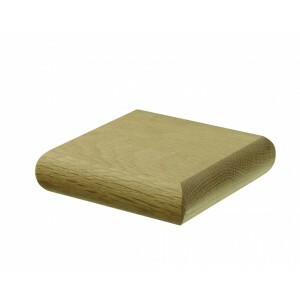 Half newel caps are designed for use with half newel posts which are fixed to walls. Elements with glass is a range of stair parts that have been modified so it can be used in conjunction with various parts in the Fusion range of stair parts, allowing you to mix and match pieces from each range so you can create a contemporary staircase of your own design. Buy everything you need to build your own staircase. Our online shop has all the stair parts you need to create a stunning staircase. Richard Burbidge stair parts are renowned for their quality and craftsmanship.